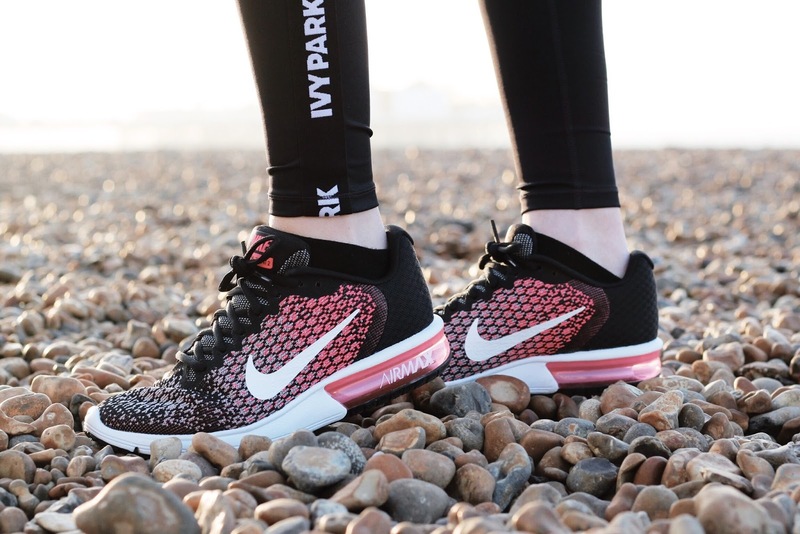 As much as I love the recently added Nike Revolution 3 running shoes to my fitness wardrobe, this gorgeous pink pair of Nike Air Max Sequent 2 have totally blown me away. They're designed with both running and Athleisure in mind, and I've found them really comfortable to run in thanks to their extra cushioning. Looking back to Dressing up Athleisure, pretty much any element of this look could be taken out of context and used for street style; leggings with an oversized t-shirt and leather jacket, tank top tucked into high-waisted jeans and paired with heels, and trainers brought into any look featuring a statement accessory or two. Anyway, on this occasion I had none of the above in mind - it was windy and deserted, and I was ready to burn off the steak baguette I'd eaten the night before! 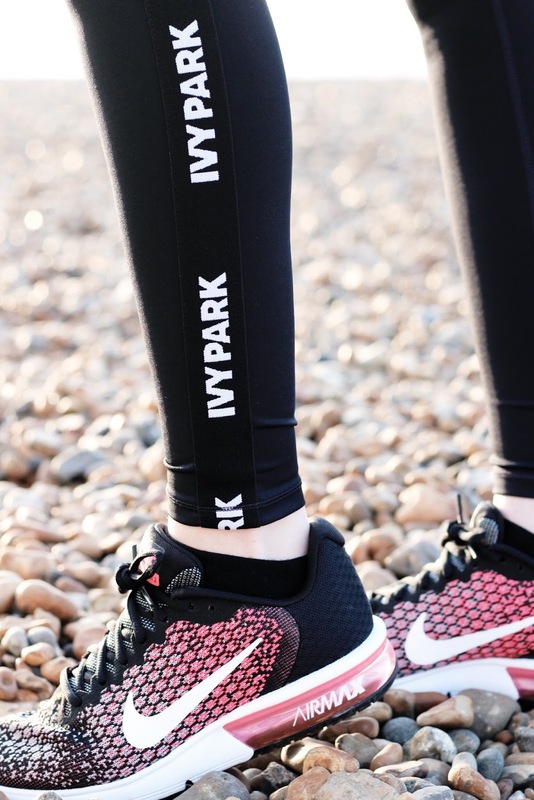 The tape running down the sides of these Ivy Park leggings is totally up my street. Anything that can make running tights differentiate from the next pair gets a thumbs up from me! After shooting this look, it took just 15 minutes of running in the sun to whip off my sweatshirt, revealing a t-shirt underneath the vest as it's still freezing at this time of year in comparison to other seasons. Anyone else looking forward to working out in warmer weather when you don't have to strip off layers like an onion?! With a track record of working out and/or running by night, I'm trying to change my ways by occasionally bringing it forwards to the morning. 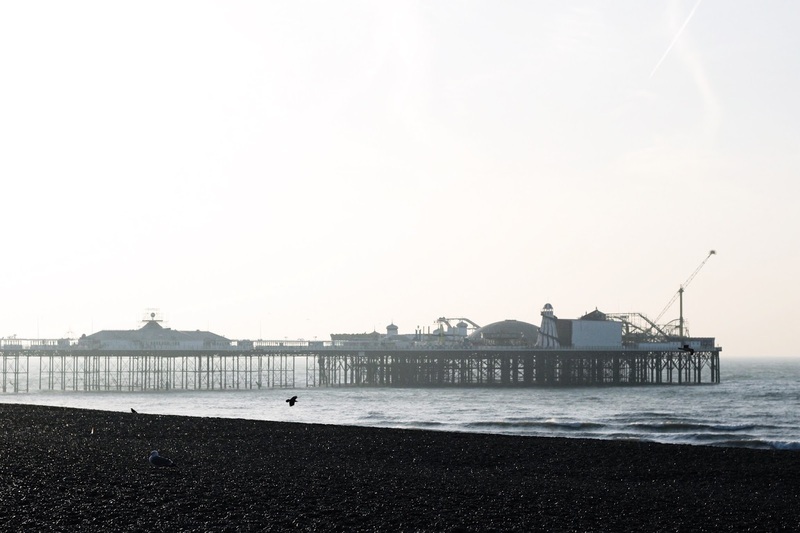 And well, if you've ever seen Brighton early in the morning when barely anyone is up and about, you'd understand why this quickly became one of my all-time favourite runs! Such a great spot for a jog! You look amazing. I love your Ivy Park workout gear! And what a fantastic place to go for a morning run! 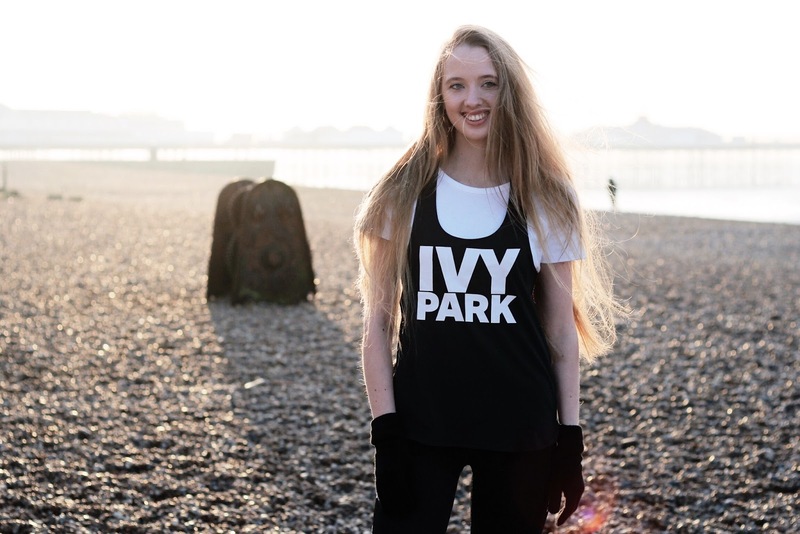 I love the Ivy Park collection, it's the perfect outfit to get motivated to actually go and work out :) My plan is to start running once the weather gets a little nicer here! Loving this outfit! I wish I could get into running but I just hate it! haha Hopefully I can change my ways someday. I seriously am looking forward to dressing up to the trend Atheleisure, it's my favourite so far and I easiest for me to follow too. Esempio di salute e bellezza!! These photos are so beautiful! I love running and I guess this morning run overlooking the beach was breathtaking! I wish I could do my runs there!! Finally Gaby!!! You look stunning, what a happy face!!! Brighton is such a beautiful and pleasant city. We had a great time there. My God Gaby, you really jog in style... Your sport outfit is top. I particularly like those gorgeous pink pair of Nike Air and I believe you that it has totally blown you away. Have a great weekend. The Ivy Park fitness wear is gorgeous! Not being the biggest fan, I always try and get any exercise over and done with in the morning! That said, with a view of Brighton beach as you go and watching the world awaken, I think I could get quite used to running! I love your gym gear, especially the leggings which look very comfy! I have never been to Brighton, but always wanted to go there. I've never been to Brighton, but I'd so love to. I'm sure the beach must be especially nice early in the morning when there's no one around. Gorgeous photos, what a beautiful day! 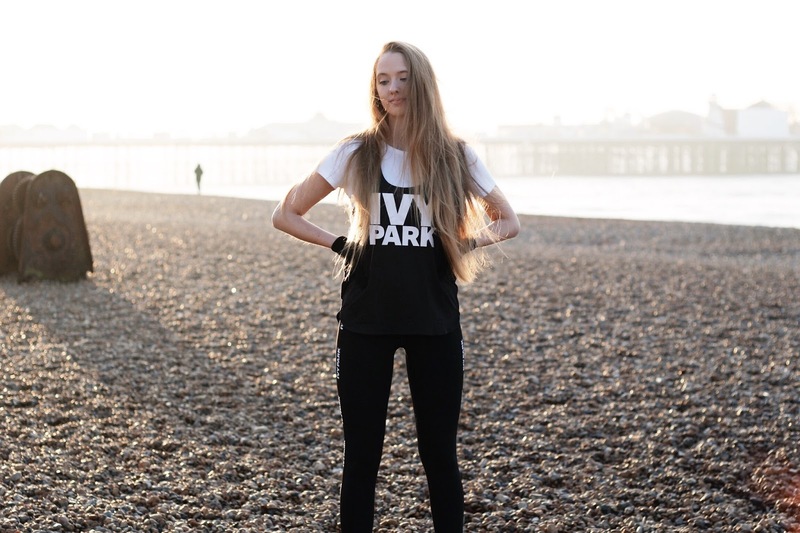 I love the Ivy Park range and those trainers are gorgeous! I'm on the hunt for some new trainers myself! lovely photos! i love the nike! 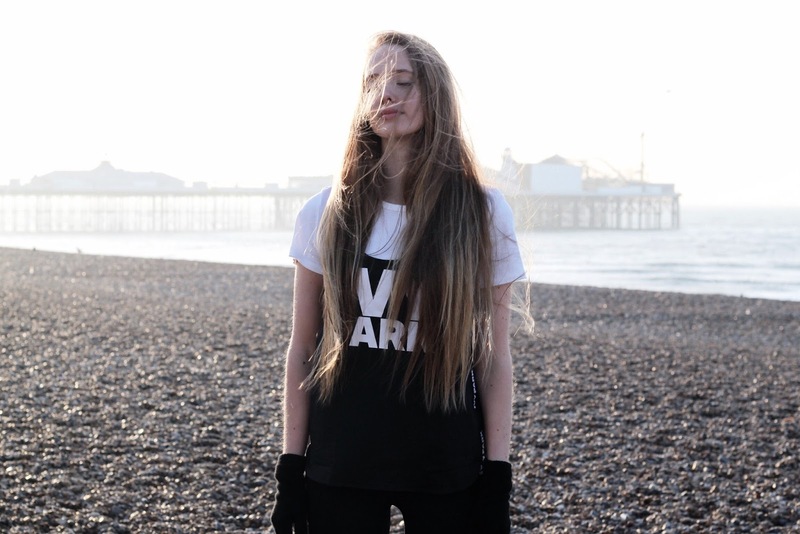 Loving your Ivy Park gear. That brand is having a fashion moment right now, but anything Beyonce does usually becomes a trend. Omgosh I've been wanting to try out Ivy Park clothes and here you are decked out in them!! I am so jealous and you look totally chic! I love your Nikes too! I love the athleisure look and you look amazing with the leggings and the Nike shoes - I love their running shoes and want to purchase another pair! My oh my Gabrielle stunning photography darling! May I ask what time were the pictures taken? I love the soft morning light on your face! 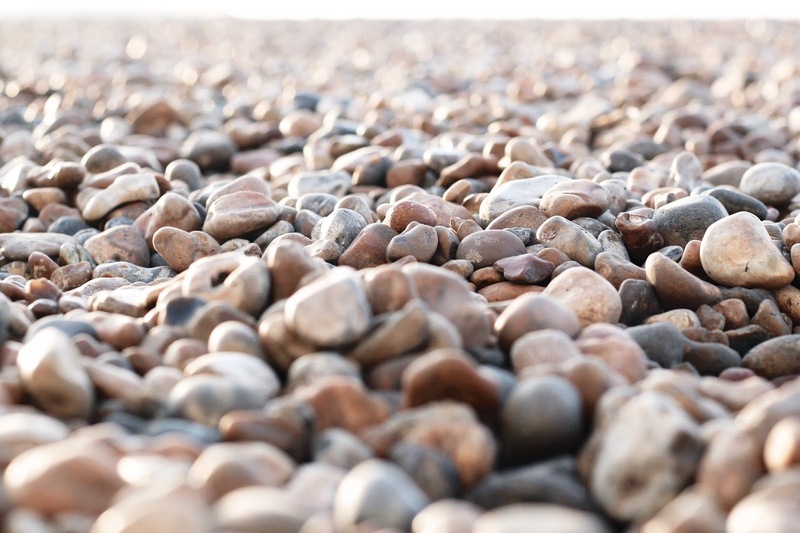 Was it easy to run on that beach with all the small stones? I love visiting Brighton, your pictures are great!! 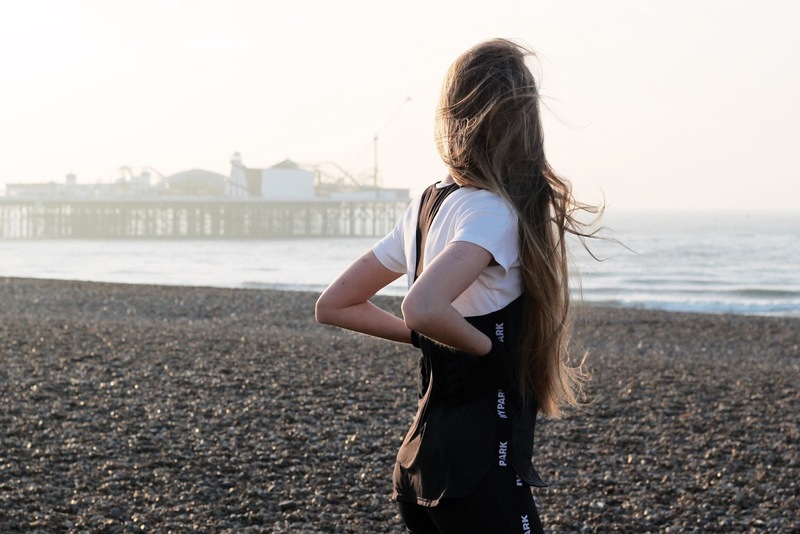 They do a lot of fashion shoots in Brighton. They just showcased Brighton and other seaside cities on a show this past week. Those Nike shoes do look amazingly comfortable. Love your entire outfit Gabrielle. That's a really good looking active-wear outfit Gabrielle! Brighton looks and sounds so dreamy. Loving those leggings girl - you look so wonderful! 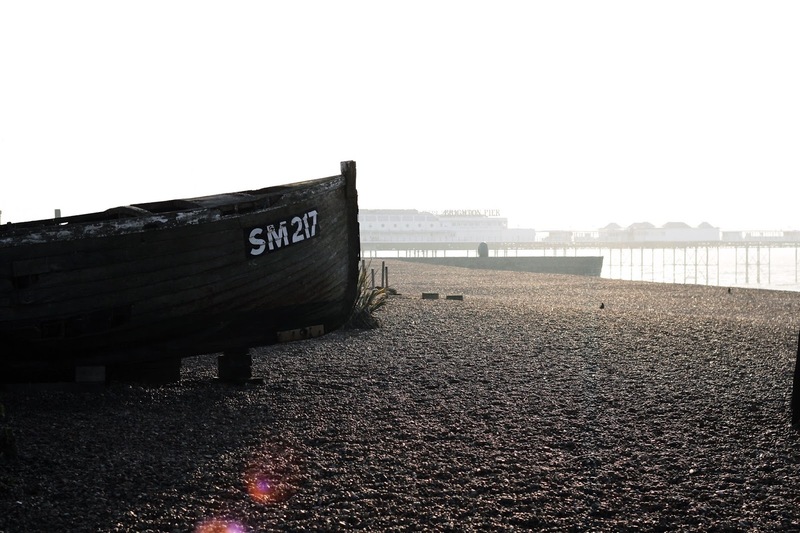 I used to live near Brighton in a town called Worthing, such a beautiful place to go for a run! P.s that black and white shot of you is simply stunning!! Great post, it looks so windy there but so beautiful! I love your running outfit. It looks like such a beautiful day! It's fun being out and about early in the morning so you're able to see a place start to wake up. I'm totally with you on warmer weather - wearing a ton of layers that you eventually have to peel off when you're working out is...annoying! I'm glad you shared this workout look, girl! You look fantastic in this running outfit, Loving the photos sweetie! 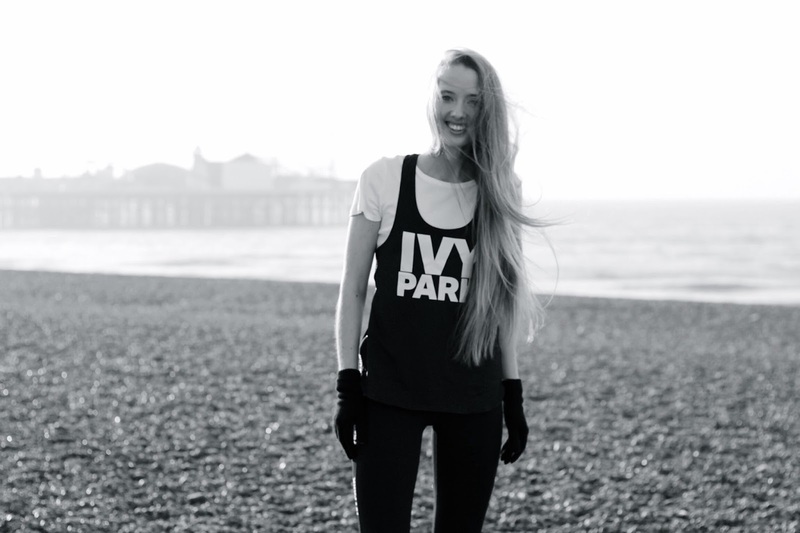 Ivy Park is so stylish! I really want to add it to my sweats collection. I wish I could run wearing as few clothes as you do! This looks like the perfect morning. Love running. Your nike sneakers are super cool! I love the Ivy Park leggings and your shoes look amazing! I literally love the ivy park collection, so comfy and it looks so cool! I bet your run was really refreshing and fun! Such an amazing place to run ! Love your photos like always. What a gorgeous photo series! That outfit is so chic for a morning run - looking lovely babe! Firstly your photographs here are beautiful and especially like the seventh photograph up from the bottom, you look incredible in your workout gear! You look fantastic in your workout gear, it fits incredibly well. I really need to invest in some great workout gear, and this post has given me some inspiration that's for sure. wow I love this whole look, I need to invest in this! I prefer morning runs, I don't know how people do it by nights. I always find an excuse if I have to do it at night :P. I can image it must have been amazing getting an early morning run in Brighton by the beach. Nice pictures.